Marking Knife - it's all about the steel! I’m setting up to hand saw dovetails and needed a spear point marking knife… but the last “name brand” one sided economy marking knife I bought off of amazon some years ago sharpened up very nicely, but then the edge bent over whenever any force was applied to it. The problem? Cheap steal! I oversee a little proto-type machine shop at work, so I went rummaging through our scraps bin and found a nice little stub of O-1 tool steel and decided to spend a couple nights working late to make my own marking knife blade. I thought you might enjoy seeing some of the steps. I apologize in advance that I failed to take pics of my set ups, and these are really the key to success. But you can get an overview of the process. 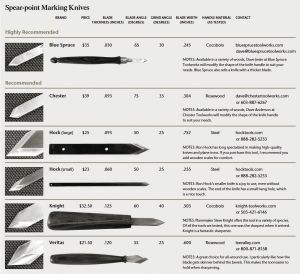 A quick internet search led me to a 2005 old Wood Magazine article by Chris Schwarz reviewing the top boutique marking knives out there, and he summarized the geometries in a table. 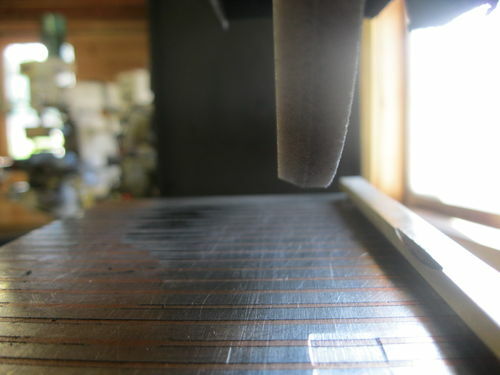 The key is to get the final form roughed in prior to heat treating, but leaving ~0.005” material for final grinding, as the rapid quench often distorts the geometry slightly. > Put the blank into the oven and slowly raise the pre-heat temp to 1,300° F and let the temp saturate the part (doesn’t take long for a small marking knife blade). This step minimizes warping in the next step. 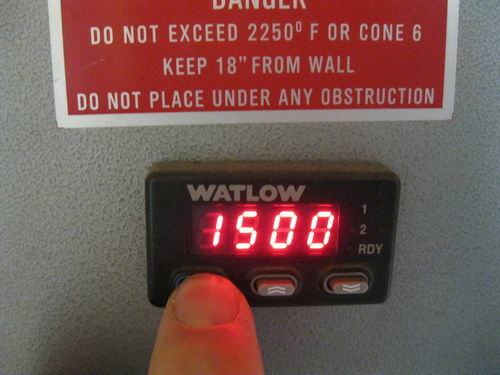 > Bump up the oven to of 1,500° F and hold for 30 min. This transforms the crystalline structure of the steel into the super hard Austenite phase. > Pull the part out of the oven and immediately dunk it in the quench oil, where it rapidly goes back down to room temp. > Now the part needs to have the hyper brittle crystal structures (Martensite phase) stress relieved. We do this in a little toaster oven as it takes several hours for the heat treating oven to cool down. 400° F for 30 min. After all this drama, the part was ready for finish grinding and sharpening (I did scary sharp on a granite plate with 600, 1,000 and 2,000 grit wet dry paper). I turned the handle on the metal working lathe from a hardwood dowel I had. I cut down and faced off a brass pen tube for the ferrule. I used a belt sander to create the flats so the knife wouldn’t roll off the bench and stab my toe. Finish was dark Walnut gel stain and a quick spray of rattle can satin lacquer. The knife is wicked sharp, and gives a nice deep score with just one pull. After many test scores in hardwood scraps, it hasn’t dulled at all. I can apply significant lateral force to the tip and it hasn’t bent or rolled a bit. Of course, I have a couple days of labor into this, and I could have purchased a premium boutique marking knife for ~$45. But what’s the fun in that? This is a beautiful shop-made tool. For those who like to geek out. Here’s some info about heat treating steel. Steel is carbon and iron alloyed together. It exist as a crystal structure. Tool steel has a higher carbon content, as well as other metals added to it. A2 tool steel is air cooled. The super premium tool steels start with D & I really don’t know anything about them, except that they are expensive. The heat treating process transforms the crystal structure from “body centered cubit (with 8 Fe atoms and 1 Carbon atom in each crystal) to Face centered cubit (with 8 Fe atoms and 6 Carbon atoms in each crystal). This diagram shows the Fe atoms in red and the C atoms in blue. In reality, the Fe atom is 30x larger than the C atom. This is done by carefully heating the steel to certain temps for specific times to create a phase change. Here’s a phase change diagram. The goal is to create the Austenite crystal structure. 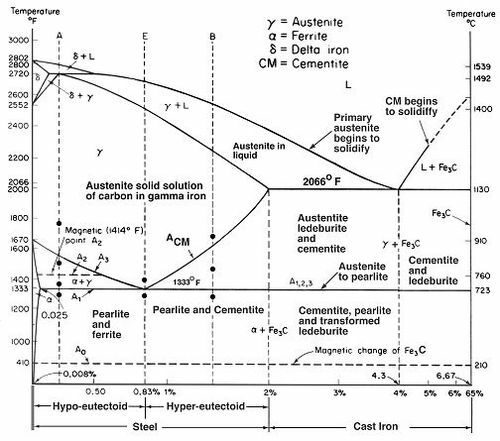 Note that these changes in crystal structure happen below the melting point of the steel, while it is still solid. Then you rapidly cool the steel to lock in that crystal structure. 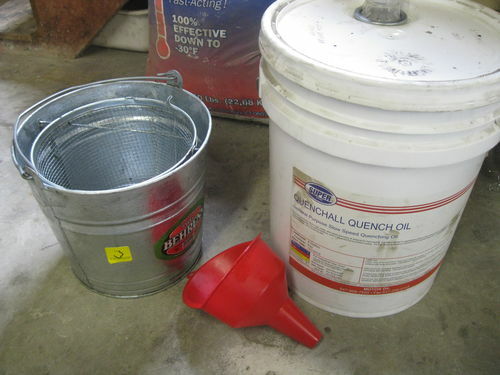 The rapid quenching in oil creates some hyper-brittle internal structures called Martensite. So you have to “draw down” or “temper” the steel by heating it back up and holding it at the tempering temp. Awesome! You should be on the “Forged in Fire” TV show. I don’t know about that…. but I can definitely see how knife making is very addictive. For all the time putzing around getting set up, I should have made a half a dozen of the blades. Awesome Matt, thanks for going into the technical details, it’s nice to get a good understanding of everything. The more I get into the business of this obsession, the more that quality tools matter. Getting by just to be cheap is usually reflected in the finished product. Good job sir. I’ve always had an interest in metal working and have often made items and tooling for special purposes. A typical approach would be to get an appropriately sized piece of leaf spring steel, make my shape, then do some seat-of-the-pants torch-tempering and hardening with Kasenit. If you ever want to make another and sell it, give me first shot! We used to outsource all of our custom machine builds to a bonifide “rocket scientist” (retired NASA mechanical engineer) who ran a small hole in the wall machine shop. This guy was really brilliant, though I had the privilege of interacting with him just a few times. Sadly, he died a couple years ago and though his son took up the torch and continued running the business, he was more of a welder-fabricator than a true machinist and machine designer, so our business relationship waned. The son’s health failed last year and he liquidated the business. He called me up because he had a couple of boxes labeled with our company name that he didn’t know what to do with. 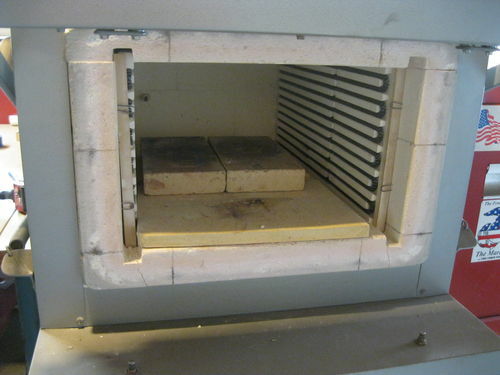 By the time I retrieved the box, all of the premium assets (a CNC Bridgeport, a couple of massive lathes, etc..) were already spoken for, but nobody had yet purchased the heat treatment oven, so we jumped on the opportunity. 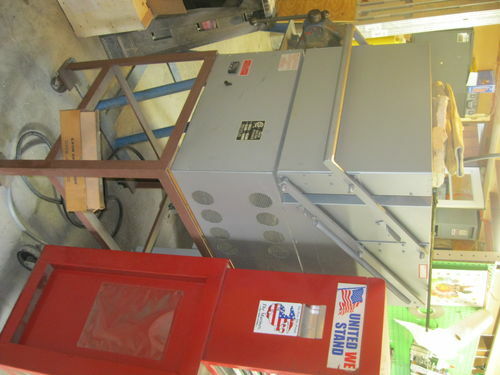 Not having to send parts out for heat treating is a huge plus and has freed us up to make replacement parts, design changes, etc… for the custom built machines we run. 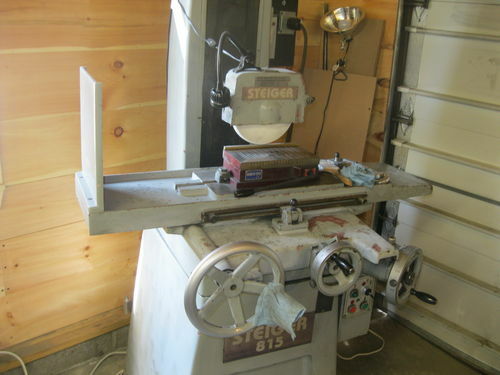 I insulated the two car garage attached to our little office building and set up shop with a mill, lathe, surface grinder and oven. It’s not suited for production work, but it is pretty adequate for a proto-type shop and I’m extremely happy that the owners supported the project. seat-of-the-pants torch-tempering and hardening with Kasenit. I’ve never done any case hardening… though it looks interesting. That’s one damned fine knife, Matt. I forgot to say… the handle is the very first thing I ever turned out of wood. I need to get some hand turning tools and set up a tool rest though. Turning the handles with cutter mounted in the tool holder is OK for straight lines, but not really any good for fairing a curve. Sand paper to the rescue. That is nice Matt. Build the best and will last a long time and look good doing it !! That’s a great looking knife Matt, nothing more satisfying than making your own tools. Good point about the flats on the handle, maybe I’ll try that next time I make one, my gouges are always trying to roll away on me. Are you in touch with Bobasaurus at all? I’m really impressed with his tools as well!